I read a lot of news, blogs and articles every day and like to share a few of them that I find particularly interesting or perhaps would be useful to others; my main app for reading these articles is Feedly. Until recently, if I wanted to share a particular piece of content to Twitter or LinkedIn – I would add it to Buffer directly from Feedly. A dialog would pop-up and I could then modify the message, add hashtags, perhaps reference the source, etc. All of this is still a perfectly straightforward and valid way to do it even today. 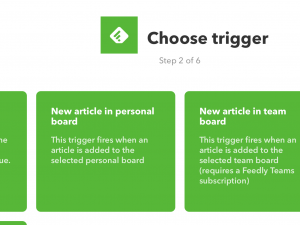 But at the beginning of April this year, Feedly added a new feature called “Personal Boards”. 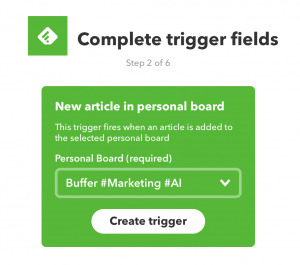 You can curate content within Feedly by adding an article to a board that you have created – a feature that essentially replaced tags. But it also has some additional enhancements over the previous tagging system including the ability to add notes and highlights. You can even share these “boards” with others to create a sort of team-oriented knowledge-base (perhaps they are gunning for Evernote?). I’ve found these boards really useful when combined with IFTTT (If This Then That). If you haven’t used IFTTT yet, you are missing out! It is essentially the glue for the internet and allows you to automate so many tasks, very easily. 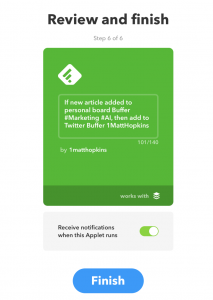 IFTTT works with both Feedly and Buffer too. Apart from some miscellaneous boards, notice the ones that start with “Buffer” – e.g. “Buffer #AI”. Whenever I read an article that I think would be relevant to share and has something to do with artificial intelligence, I simply add it to this board. 2. Make sure that you have activated both the Feedly and Buffer channels. 4. 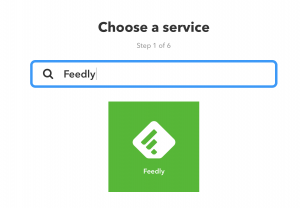 Choose Feedly as the “This” part of the equation. 6. 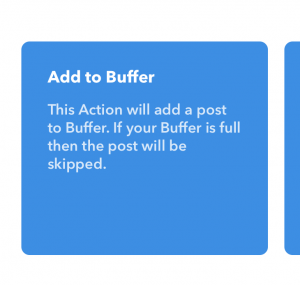 IFTTT will then load your Personal Boards and populate the list provided. 7. Press “Create Trigger” and your done with the “If this..” part of the process. 8. 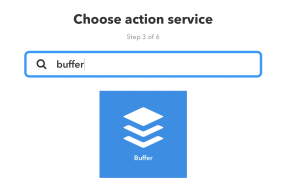 Now click on “That” to add what action you want IFTTT to perform. 9. 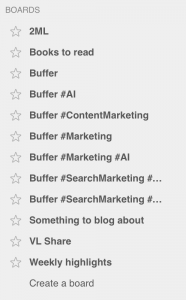 Choose “Buffer” from the list of channels. 13 .Then, review your applet and press the “Finish” button. And so that’s it – repeat this process for each of the boards that you want to act on. Then, when you are reading your daily content feed and want to curate and also share what you have read – you simply add items to one (or more) of your Personal Boards in Feedly. 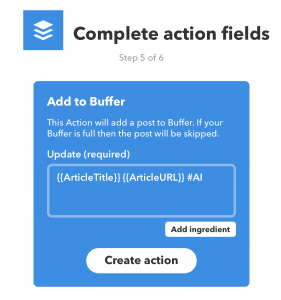 If you have set up an IFTTT applet, anything added to these boards will automatically be shared to Buffer (or Twitter directly if you prefer).